Ever wanted to display a relate field as a dropdown list on an EditView? Here is how you can do it. Assume you have a custom module that has a relate field to Accounts. The module will have a field account_name and a field account_id. Then in the metadata/editviewdefs.php change account_name to account_id and add a type =>’enum’ to it. Then lastly add some code at the top of your modules class file (my_class.php) to create and populate the list. You can of course add more filters to the where clause to display a subset of related records. For custom modules built in module builder you should edit the vardefs.php and metadata/editviewdefs.php inside custom/modulebuilder/packages/<package>/modules/<module>/ and the class file in custom/modulebuilder/builds/<package>/SugarModules/modules/<module>/<module>.php. If the module is a built in module you will have to make the vardefs changes in an extended vardefs file in custom/Extension/modules/<module>/Ext/Vardefs/, change the metadata in custom/modules/<module>/metadata/editviewdefs.php and create the list in an after_retrieve logic hook. Here is a simple way to get two variables that contain the current datetime in the current user’s preferred format and in the correct database format. Use $now_user to set datetime values on SugarBean objects and $now_db to set datetime values in database queries. SuiteCRM (and SugarCRM it is based on) is an amazing open source customer relations management (“CRM”) system, but it is also much more than that. Over the last couple of years I have built quite a few tools to help administrators and developers manage SuiteCRM and SugarCRM installations better. 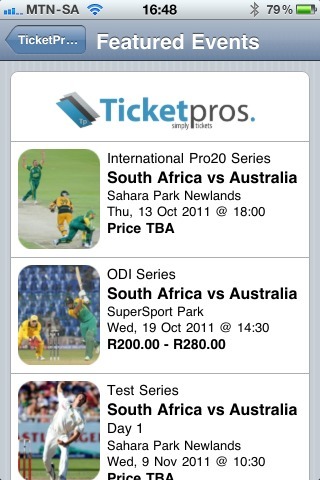 I have just finished building a WebApp for the iPhone for TicketPros. 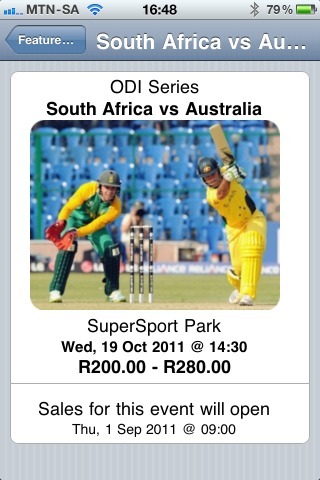 The app allows you to browse all events with details and pricing directly on your iPhone. 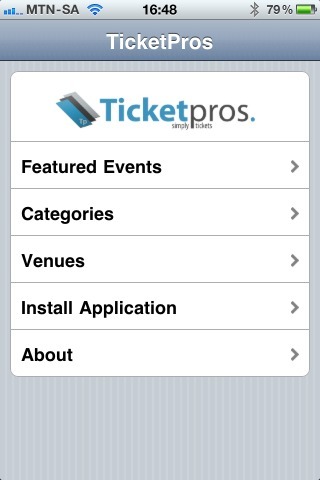 Since it is a WebApp you can view and install it directly from the TicketPros mobile site. 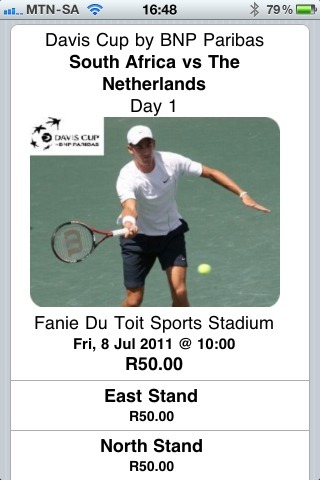 The iPhone now comes with pretty decent voice control, but unfortunately if you are a South African and most of the names you are dialing sounds more Dutch than English, it struggles a bit to recognise the names correctly. As an example, my wife’s name is “Mariette van Niekerk” so the voice control finds Marie, Marion etc., but never Mariette. So here is a small, quick tip for you. If you add nicknames to your contacts, you can use the nicknames with voice control for voice dialing. For the example above I added the nickname “Wife” to Mariette’s name in my contacts. So now I can call her by simply saying “Call wife”.